Display the poster for observational discussions, surrounded by captioned children’s artwork. 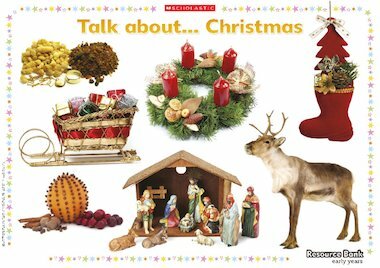 Arrange a table of related artefacts, including a miniature nativity scene, alongside. Alternatively, encourage child-initiated Christmas play ideas by displaying the poster in the home area, or next to mark-making or creative resources. This poster is beautiful. We have printed it out on A4 for each of us to have a laminated placemat for our evening meals next week. Keep up the good work! Dianaalice.